How to create a Windows setup executable. The only extra tool needed to create a setup is Inno Setup. 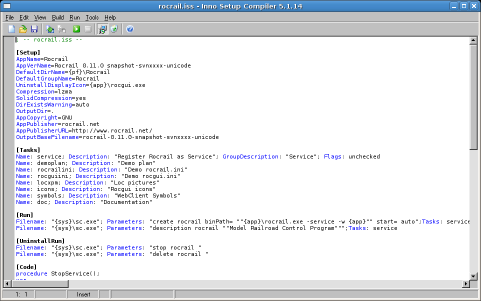 You can download the setup tool on Jordan Russell's website: http://www.jrsoftware.org/ If you are planning to cross compile you must also install Wine to be able to start the Inno Setup program. Choose from the main menu Build→Compile.